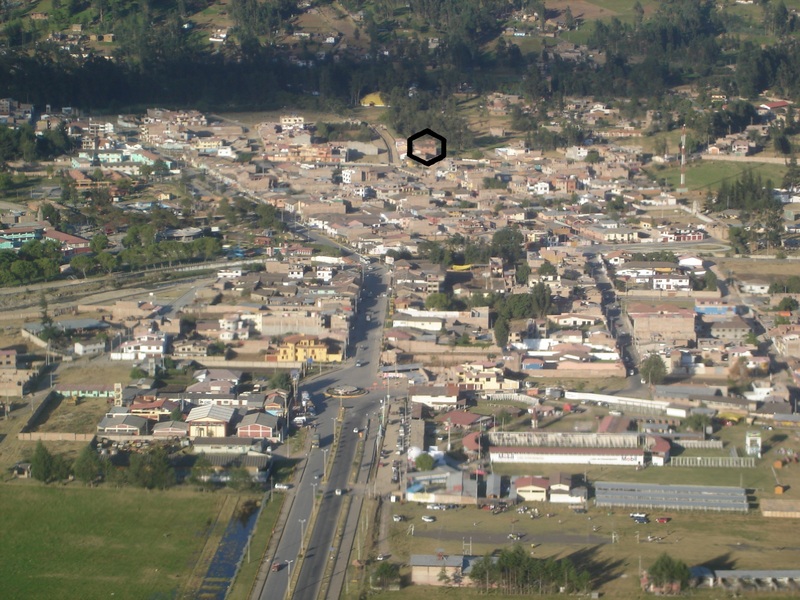 This is the A1 property in Cajamarca – Los Baños del Inca, Peru – where the Inca Emperors used to rest and relax for its thermal baths on their way from Quito to Cusco; located in a central quiet spot of Baños’ town centre, only 1 block from the new market hall and police station with all relevant services nearby; only 5 km from Cajamarca and 15 minutes from the well connected CJA airport. 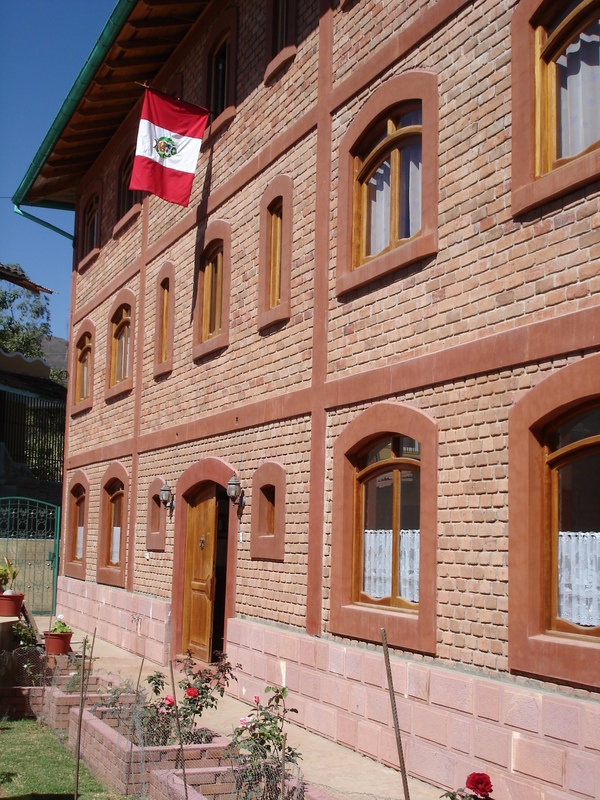 This 777 sqm inspiring edifice with patio, garden, thermal pool and waters offers multiple opportunities, is exceptionally well located, calm and safe, and easy to reach from the Yanacocha and Michiquillay mining districts. DETAILS: 8350 sqft on 3 stories, including two separate flats on its 3rd floor and a service edifice; 5688 sqft lot size (additionally, 2 adjoining, independent, beautiful 10900 sqft garden lots with main street access and all services incl. thermal water, can be purchased by the buyer); year-round 100+ F degrees 3500-cbft thermomedicinal pool; geothermal floor heating and hot water system offering exceptional conditions for your investment and living in health and high comfort at 8750 ft of altitude. This luxurious dream home is of Mediterranean brick-style architecture, includes gabled red-Andean tiles roof on wooden frameworks, floors from tropical high-grade wood and ceramics, stairs and precious wood art installations and furniture (ie mahogany, by “artesanosdonbosco.com”) in gourmet and classic kitchens, living rooms, bedrooms, balconies and patio, incl. four 1st grade stove-fireplaces. Property consists of main building with patio and two-storey 650 sqft adjoining house for service. Two flats on 3rd floor can be accessed from separate entrance. Each level is arranged around the central patio which communicates between rooms and levels. Total room No: bedrooms (5); bedrooms/office (3); full bathrooms (4; 1 with jacuzzi); half bathrooms (3); shower (1); deposits (4); gymn/relax area (2); gourmet kitchen with dining (1); kitchen with dining (3); living rooms (4); library/office (2); patio (on 3 levels); laundry (3); garage (1); parking (2); includes 1st grade German (Miele, Bosch) kitchen equipments & Italian technical appliances; this property is exceptionally well equipped, economic and operational, provided with 3&2-phase power, thermal and current water, floor heating & other services. Pets allowed. Monthly overall bill for local housing taxes, thermal water, water and sewage, heating and electricity is 200 USD, plus internet, cable, phone & other communication services. I am interested in other Character Properties for Sale from Peru.